Insurance is very important in today's life because no one has have seen the future and anything may be happen in future. So insurance is a thing which protects our life as well as our assets from the unforeseen events. Introduction : Insurance is defined as the equitable transfer of the risk of a loss, from one entity to another, in exchange for payment. 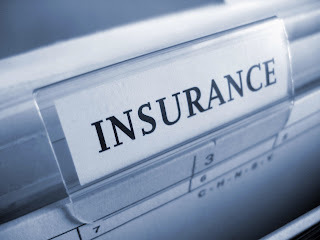 An insurer is a company which sells the insurance policy to the consumers and the insurance policyholder or the insurer who buy the insurance policy. The insurance rate is a factor used to determine the amount to be charged for a certain amount of insurance coverage, called the premium. 1. Life Insurance : In this you can secure your life with a policy called life insurance. If you will died between the policy period the insurance company will pay a amount of money to your family to make their life secured or else you will get an amount when the policy get matured and you can get the benefit of it as well. 2. Property Insurance : This insurance will help you to prevent your property from unforeseen losses like theft, fire etc it will also applicable in natural disasters like Earthquake, Floods etc. you can follow the points in the policy for more details. 3. Health Insurance : Health Insurance is of various types and medical insurance is the major type of it . Except medical insurance dental insurance is also considered under health insurance in some cases. 4. Auto Insurance : In this you can save your vehicle from accident .If you car is covered by an insurance policy then you no need to worry about the future unforeseen events like accident and major problems as well. 5. Travel Insurance : Travel insurance covers medical coverage , loss of your luggage and as well as if the flight get delayed. 6. Credit Insurance : This type of insurance pays the loans of the policy holder in case of any accident of the policy holder or job loss or death. 7. Third party Insurance : This type of insurance policy covers the loss made by first party to the third party like in case of purchasing a car in finance. That was an introduction of insurance and and its popular types which we use in our life. In future I will provide you more brief information on insurance and its various types. Follow my blog for gathering more information on various financial topics.